There’s one thing more dangerous than testifying to a crime—staying silent. Locked in the ruins of a California Mission, Abby Travers watches helplessly as a girl dies outside her window. As she struggles between her moral obligation to come forward as a witness, and her commitment to a Medieval religious practice that requires her to retreat from the world, the situation spins out of control. Abby’s hesitation starts a series of catastrophes. She finds herself at the center of a deadly cover up where every minute counts and indecision could be fatal. She questions all her beliefs and everyone she knows becomes suspect. To save herself and those she loves, she must break free from her self-imposed prisons of stone and fear. 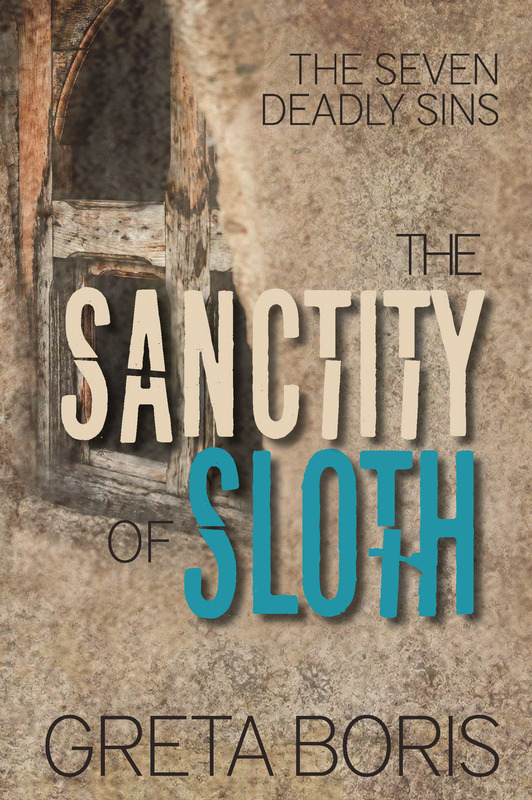 The Sanctity of Sloth is a taut, psychological thriller that answers the question: What happens when a good woman does nothing? Fans of Paula Hawkins and A.J. 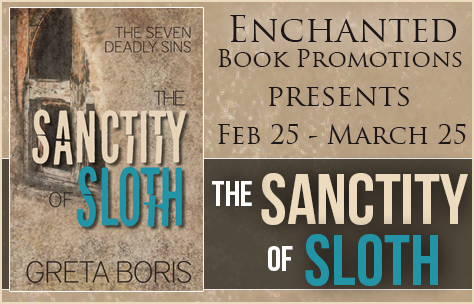 Finn will enjoy this third book in Greta Boris’s Seven Deadly Sins Series. I’m a huge fan of mysteries that have somewhat different premises: not your typical, run-down-the-mill ‘someone was murdered and a lonely detective haunted by the past has to solve it’. And I did get that here, from “The Sanctity of Sloth”. The premise is unique: Abby Travers is lonely and haunted by the past, but she’s not a detective, she’s a regular person. And Abby struggles with her moral obligations and her commitments, and her choices has disastrous consequences. The other spins an excellent tale, with clever writing and an insightful way of creating characters that are quirky yet realistic. I felt sorry for Abby, I felt along with Abby, and even more importantly, I felt a connection with her; and it’s a great feat when an author can pull that off. The person, if it was a person—it could have been a large dog, she hadnʹt gotten a good look—lay unmoving where theyʹd left it. Her heart thudded in her chest. What should she do? Abby couldnʹt leave her cell. Not without help. Her father had wanted to give her an escape hatch, but sheʹd said no. The experience had to be as realistic as possible.If she could come and go whenever she wanted, it would defeat the whole purpose. But sheʹd never imagined something like this would happen. Guilt and anxiety itched like a hair shirt. What on earth had possessed her to take six weeks off work to lock herself in these four walls? She hadn’t anticipated this feeling of helplessness. She’d only thought about the peace solitude can bring and her publishing goals, of course. She pushed herself off the stones, walked five steps to the other end of her enclosure, pivoted, and took five steps back. Repeat. Repeat. Greta Boris was raised in Greenwich Village, New York by an opera singing, piano playing, voice coach and a magazine publisher. Her original life plan was to be a famous Broadway actor, singer, and dancer, but when she moved to Laguna Beach, California, she changed her plans due to the commute. Today she writes to inspire, entertain, motivate, and so she can afford nice wine. The story behind the story. What was the inspiration for STOLEN OBSESSION? 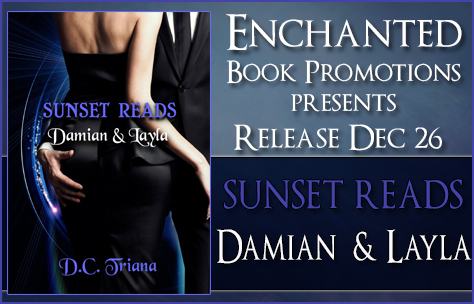 After I completed a work of non-fiction for family and friends in 2009 and enjoyed the experience, I challenged myself to write a romance novel. It seemed like an exhilarating idea and I thought it would be easy. How tough was telling a story? Looking back, eight years later, the inspiration for writing fiction was my burning desire to delve into another creative outlet I hadn’t tried. I expected writing would come as naturally as painting and photography had for me, but I was wrong. Of all the projects I’ve ever undertaken, writing has been the most time-consuming and difficult. It took me two years to write a first draft—the only work of fiction I’d ever written. Editing it to perfection seems comical today when so much was wrong with the original manuscript. It’s true that first drafts are supposed to stink like mine had. I didn’t know what genre fiction was, let alone what genre I had written. Time spent honing my craft made STOLEN OBSESSION a project I’m proud of. What was the most challenging aspect of writing STOLEN OBSESSION? The toughest part of writing this novel was learning the craft. Most frustrating was reading best-selling authors who don’t follow the same writing rules as new authors. My reading choices were books from well-known authors. Trying to emulate them in my work was a huge mistake. Agent critiques through online sources continually dinged me for my creative hyperbole and leading the reader with telling the story versus showing character interaction. It was hard to know which author to read because of the bad habits I had picked up in my writing. Until I understood that debut authors “should” follow certain rules, but not necessarily, and edits and critiques were all subjective, I struggled. So much depends on author voice and how compelling the story is written with the reader in mind. Being afraid to read other authors’ works for fear of plagiarizing was another huge stumbling block I had to overcome. A writer can’t write without reading. Only reading creates an atmosphere for a writer’s words to flow onto the paper. In my case, being a stickler for details and perfection prolonged the release of my first book in the Annalisse Series. I’m one of those constant manuscript editors that critique groups and writing mentors warn debut authors about. I doubt I’ll ever break the habit, but it gives me something else to work on for the remainder of the series. What is the message you want readers to take away from your book? Simply, that we take so much for granted when things go well. Excellent health and happy circumstances need a reality check once in a while. Be thankful every day for those around you—family, friends, and colleagues. 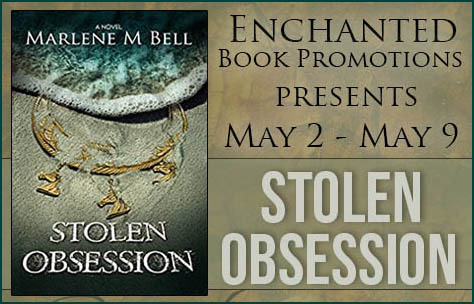 In STOLEN OBSESSION, Annalisse experiences a great deal of personal loss. She transforms herself into a more thoughtful person by the end of the novel. I grew up in an era where a college education wasn’t the be-all-to-end-all. My family couldn’t afford a college degree for my sister and I, and attending a junior college had no appeal for me. I wanted to become a professional artist and felt that a college degree wouldn’t help me achieve my goals. It may have, but I had tired of schooling. I went to work out of high school as a receptionist, which forced a very shy girl to interact with the general public. I was afraid to try anything new, including driving. I didn’t get my driver’s license until I was twenty years old! At the time, I lived with my grandmother. (She’d had a tough time adjusting after my grandfather passed away.) She’d drive me back and forth to work. Shyness was the hardest bridge to cross until I’d worked for several years and gradually built my confidence. In 1978, I met my future husband on a blind date, set up by my boss’s son. I worked at the Modesto airport for a fixed base operator, and Gregg Bell was in pilot training at our satellite office in Tracy, CA. I was the city girl who loved animals and Gregg had sheep. He lived on acreage and exposed me to the calming rural atmosphere I knew suited me and my art. Constantly drawing and painting his sheep in the quiet of his little ranchette, put the desire to break away from just any job—to working as a full-time artist on the front burner. I had a business opportunity in the early 1980’s after marrying Gregg, when he suggested I create sheep related stationery and sell it in a catalog. While working full time in Pleasanton, CA, I put drawings onto paper in the office breakroom during lunch. The business even allowed me to ship my products via UPS from their establishment. I studied how to start a sideline mail-order business while I worked. My husband was climbing the management ladder at the state’s major utility and finally landed a good position in the San Joaquin Valley. A place where I could work for myself full-time. My catalog venture, Ewephoric, became a reality in 1985. We’ve raised several different breeds of sheep along the way and were heavily involved in helping families and 4Her’s learn how to raise sheep. We grew our flock numbers to 120 head when we made our move to East Texas in 2012. We now raise purebred Horned Dorset sheep exclusively where I use my photography and nature artwork as models on over 200 products. Occasionally, I write articles for animal husbandry magazines regarding sheep health. In many circles, I’m know as, “The Sheep Lady.” Although, my husband still calls me, “The Mail Order Queen.” I love mail order! Both buying and selling. Describe your writing schedule. Do you outline? Any habits? I try to write something every day. Whether it’s in a current work in progress or notes in a word document for future installments in the Annalisse Series. First thing in the morning, I open a book and read. Even if it’s only for a half-hour, I read. Reading keeps my mind untied and unleashes more cohesiveness to my writing. My first manuscript drafts were done without an outline. This created too many plot lines and plot holes. By the 5th draft of STOLEN OBESSION, my editor recommended an outline before I wrote the next draft. She asked to approve it before the draft. I’m task regimented anyway, and using the outline method made better sense for a writer like myself. The second installment in the Annalisse Series, SPENT IDENTITY, was outlined before work began. If I have days where the words won’t spill onto the manuscript, I put writing aside and pick up a book. Once I’ve read a few chapters, I can get back to my own work in progress. What books are on your nightstand? What are you currently reading? The complete Outlander Series by Diana Gabaldon is strewn across the table of my reading room just off the bedroom. I’m a voracious reader of Karen Rose romantic suspense and those who write in a similar third-person like myself. Before I started the fiction-writing journey, I used to read Nora Roberts romance and a few others like James Patterson, but find it harder to read them these days. I don’t want to pick up the earlier bad habits in my writing, and it still infuriates me how often they write outside the lines for the rest of us! I’m currently about to dive into, NO EXIT, by Taylor Adams and, THE GOOD DAUGHTER, BY Karin Slaughter. I’m amazed by Diana Gabaldon’s power to write compelling characters and bring a reader into their minds. I purchase every Karen Rose book as it comes out because she has the uncanny ability to write a wide variety of characters without making them sound the same. Her dialog is excellent and villains admirable. I’ve found its okay to write sloppy sentences, move on, and go back to fix them later. Boggy manuscript drafts and editor criticism are part of the process for a good novel. Challenging yourself to work on something completely out of the box is invigorating to the soul! Just because the process is hard, don’t give up. I’ve found anything that comes easily won’t be worth a damn in the end. It’s the hard stuff, doing the hard things, that makes the journey worthwhile. Think about something else other than writing when you’re blocked—take a break. Don’t force it when words don’t come. Go outside. Take a walk in nature. Marvel at what’s around you. Take a journal with you and watch people interact with each other. Record their mannerisms and quirks. Use this in your writing and you’ll see an immediate improvement. The second book in the Annalisse Series is currently out of outline form and underway. SPENT IDENTITY finds Annalisse in the middle of saving the family farm when a stranger is found dead in one of their barns. Then Annalisse’s aunt, the only living relative with the farm, disappears. 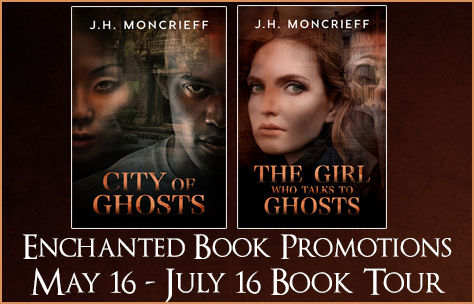 Win eBook copies of the book, and 3 $10 Amazon gift cards. Go here for the giveaway. 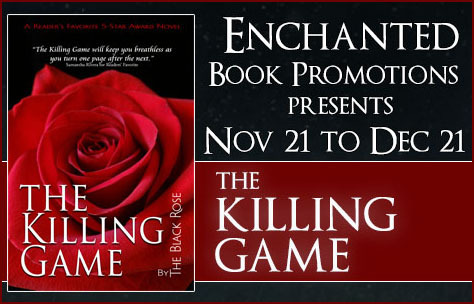 Today I’m hosting a guest post by The Black Rose, author of romantic suspense “The Killing Game”. As far as my writing process, it involves a lot of research, mapping of storylines, character development, confirming facts from previous novels, etc. But when it comes down to it, I sit and write. I’m blessed in that the stories are there to describe and I write what I see in my mind. Now comes the hard part. As for editing, in short, it’s long. To break it down, I have several editing processes. The benefits are twofold: the story and the end product (both physical and digital books). First, for the story editing, I review what I’ve written on the screen. I then run the text through editing software to clean it up. When I feel the story is complete, I have a proof printed. Not loose-leaf, but a physical book to hold in my hands as a reader would. I read the story. I make notations in the margins, and chapter by chapter, I make the edits to the story. Once those edits are incorporated in the story, I have another proof printed, and again, I read it as an avid reader would. As I find changes, I make them on the final copy. If I feel I’ve missed anything, I’ll print another proof and repeat the entire process. If I’m happy with my edits, I send the copy to my editor, who tears it apart and sends it back. I review those edits, make them where needed, then I send the book through to the printer to be released for sale. As mentioned, the benefit of reviewing a physical proof is part of a twofold process. Since there is usually lag time until I receive my proof, my mind has time to rest from the story. When I receive it, that’s my opportunity to review the story and the physical attributes of the finished product. I scrutinize everything. I examine the cover for color, text, alignment, appropriateness, look, feel, the texture of the laminate, etc. After that, I move onto the interior. I check margins, headers/footers, text size, line spacing, paragraph flow, etc. I look at everything and attempt to imagine what readers will think when they hold that book in their hands. It’s the same for eBooks. I upload them to the sites I sell from and then download them once their systems have converted them into their standard. I then go through them to be certain everything works. Of course, it’s impossible to have every available eReader on the market, but I have several, and I use them to analyze the work and produce the best possible final product. My goal is to create beautiful end products, filled with intriguing stories and captivating characters that readers will come to know, relate to, and want to follow as my series’ continue to unfold. I do all this because the greatest compliment I get is when a reader says they can’t wait to find out what happens next! A seductive story about corruption, sin, lust, and redemption. The series opens as Ives Andrich, Special Agent in Charge of the New York Division of the FBI, is confronted with investigating the woman he has waited a lifetime to find. Because of her more than accurate novel about an Italian crime lord, the Bureau, against Ives’ wishes, asks for her help in infiltrating the internal organization of the nation’s most nefarious Mafia don. When the Bureau’s plan fails, and she becomes dangerously entangled in the private life of the United States’ most wanted criminal, Ives tolerance for Bureau mishaps vanishes. No holds barred, he puts everything on the line to save the woman he loves in the first book in The Killing Game Series, a suspense thriller series by The Black Rose.